Hello. I’m now testing the wordpress app on my iPhone. Whatever it takes to maybe get myself to update more often, right? ;) Besides, it’s a free program. 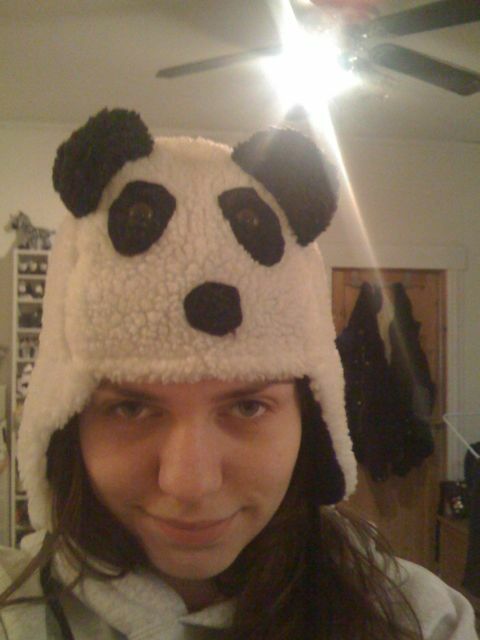 And this is a picture of me in my panda hat a cold morning.